This glorious floral tapestry "Salient Blooms Brown" shows a floral botanical study of flowers in full bloom. With peach, red, blue and white flowers of many species and varieties, this French floral tapestry is an example of the beautiful floral botanical studies based on works from the 18th century. The play of light in this piece is beautiful and shows the blooms well among the sophisticated brown background. 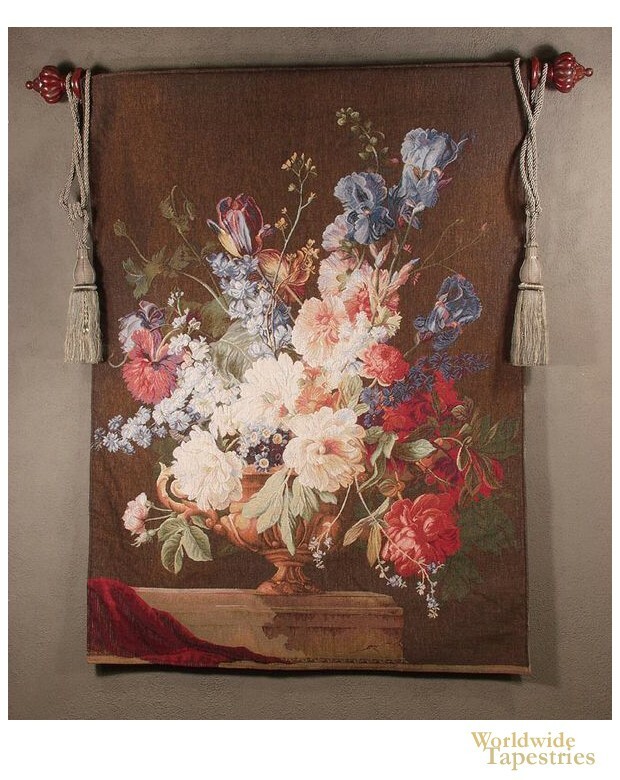 This French tapestry "Salient Blooms Brown" is backed with a lining and has a tunnel for easy hanging. Note: tapestry rod and tassels, where pictured, are not included in the price.